All Roads Lead to Sawa! By Nemron yohannes Iyassu | There is one place that Eritreans cherish and greatly respect. Sawa. For their final year of high school, Eritrean students head to Sawa. Navigating the roads through Keren, the rich Gash Barka region, Agordat, and numerous other beautiful towns, you may begin to think that the desert has no end. But it does. And all roads lead to Sawa! There in the middle of the desert, surrounded by two large rivers, there is a small “city” for the youth – and only for them. Over the years, I have heard many things about Sawa. Some positive, some negative, and a lot exaggerated or misinformed. Having come to Eritrea, I wanted to see and experience it for myself, even if only briefly. However, a burning question arose: is it even possible for me, as a “German”, to go there? Yes, it is and so I went. 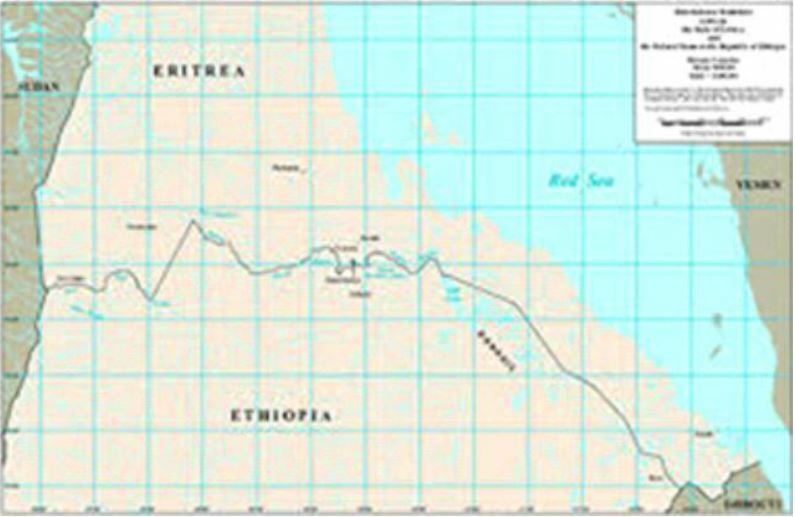 The huge desert area where Sawa is located, within the Gash Barka region, is famous among Eritreans for the highly quality of its water. Everyone seems to be in agreement that it tastes great. The water, it is believed, has a different texture which Eritreans seem to like. Sawa is located a considerable distance from Asmara and most people know someone, either a friend, relative, or neighbor, enrolled there. Accordingly, whenever people hear that someone is going to visit Sawa, they will seek out the visitor in order to send along items for their friends or relatives, such as sugar, hambasha (traditional bread), candy, clothes, letters, or other things. These gifts invariably bring a smile to recipients’ faces and help make their stay a bit more enjoyable. Prior to my departure to visit Sawa, I went to several shops around Asmara in order to stock up on gifts and other items for my cousin. Having got that out of the way, I was finally ready to begin the nearly 8-hour trip to Sawa, near the border with Sudan. While the journey from Asmara to Sawa is long, it also provides travelers with the opportunity to take in Eritrea’s beautiful scenery. Some of the scenery, including the small villages, is dazzling and definitely not to be missed. Although my fellow travelers spent the trip either dozing off or engaged in discussions, I could not help but be mesmerized and fascinated by the awesome, breathtaking stone formations and natural landscape. Additionally, the diverse, ever-changing vegetation and small villages with traditional “Agdos” (traditional straw-roofed houses) held my attention. Only one word can be used to describe the scenes: beautiful. Upon arriving at Sawa, we were afforded a warm welcome. Countless young men and women came up to us to greet us, saying, “Selam!” or “Enqua dahan atikhum.” They all had large, endearing smiles across their faces. Of course, such scenes also reflect how Eritreans tend to be a warm, hospitable, and welcoming people. During my time in Eritrea, I have noticed that women in Eritrea help care for or guide younger people, even if those people are not their own children. During our visit to Sawa, my aunt assumed the role of mother to the 130 young women in the unit. Out of respect, elders are addressed to as “mama” and “baba”. My aunt soon became mother to all the girls in my cousin’s unit. We sat down on my cousin’s bed and we were unexpectedly served juice and kolo (roasted cereals). I was humbled by how generous the young women were in sharing their snacks and hosting us in their home. And let me tell you, it is certainly a big home! After spending some time socializing and learning a little about my cousin’s experience at Sawa, we left the dormitory to have lunch at the hotel. However, before we could get to the hotel, I was confronted by a huge surprise. Out on the football field, a mix of young men and women were engaged in an intense game of football. Right behind the field, however, there was a giant screen broadcasting the latest English Premier League match. Some people were sitting down in the open and watching the match intently. In case you didn’t know, Eritreans are passionate about football and they especially love English teams. After noticing the giant screen, I was torn between accompanying my family to the hotel and staying to watch the match with the others. Later on in the day, we were approached by a kind woman who worked in the hotel’s kitchen. She had heard about my aunt coming from Asmara and she wanted to send some money along with my aunt to her relatives living in Asmara. After introducing herself, she gave my aunt – who was a complete stranger to her – some money and a brief note with the telephone number of her relatives. While this may not seem like a big deal, I found the level of trust astonishing. There are few places in the world where you would feel so comfortable and safe doing what the woman from the hotel kitchen did. I guess it is just another reflection of Eritreans’ strong sense of honesty, trust, and community. The incident also underscores a point I raised in a previous article: Eritreans share close bonds and in many ways they are one, big family. I saw other interesting things during the return journey to Asmara. For example, as we were traveling, we came across a large number of people who were walking with their herds of sheep, camels, and cows. At times, they would move alongside the road, which meant that drivers had to be extra attentive in order to ensure they did not hit people or animals. After some time driving, we decided to stop to refresh ourselves and stretch our legs. As we disembarked from our vehicle, two little boys, carrying small olive tree twigs, which are traditionally used as toothbrushes, excitedly ran toward us. However, instead of wanting money in return for the twigs, they asked us to give them pens in exchange. I was highly impressed and touched by their unexpected bargain. Fortunately, I had several pens with me, which I was more than happy to leave with the young boys. My stay in Sawa gave me a better understanding of Eritrea and its people. 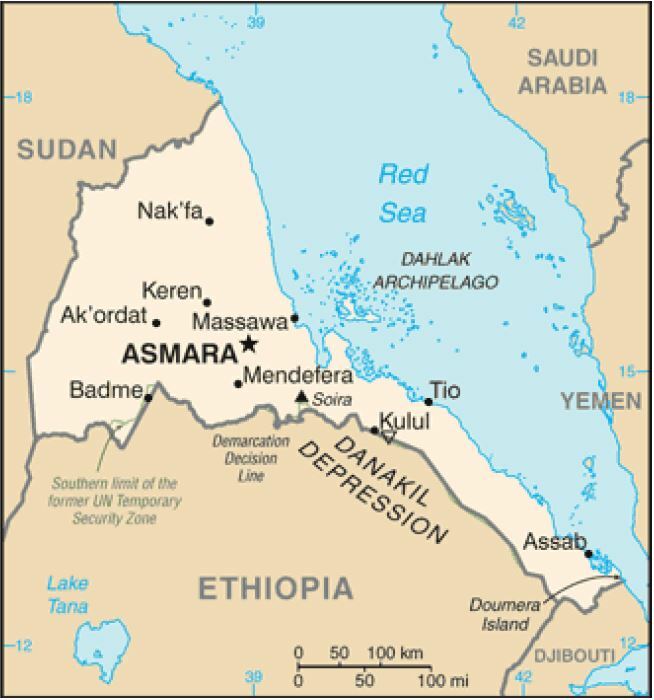 When people come to visit Eritrea, they usually only see Asmara or Massawa. While they get to experience the beauty of these two amazing cities, they miss out on seeing and experiencing many other angles or aspects of Eritrea. Sawa is about far more than the simplistic labels that it is often given. 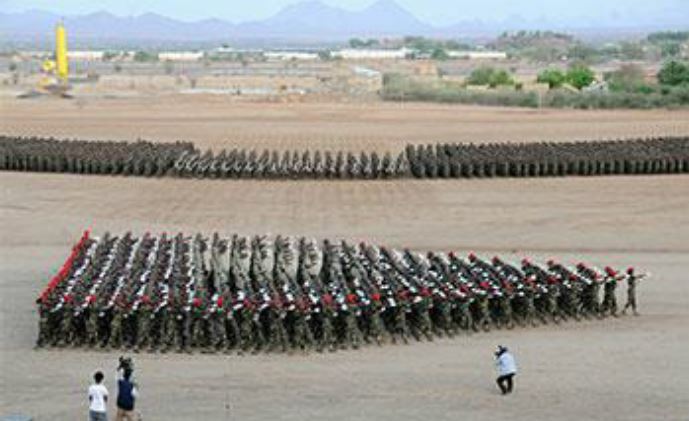 Annually, thousands of Eritreans from different religious and ethnic groups go to Sawa. During their time there, they develop as individuals and learn about themselves, their history, their fellow citizens, and their country. In Sawa, young men and women not only grow as people and students, they are also instilled with the values that Eritrean society is grounded upon: resilience, respect, tolerance, and love for one another.